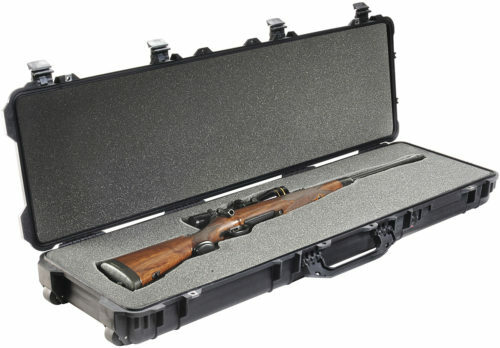 The best gun case for flying is the Pelican gun case. African hunters chose Pelican cases when they need to fly their $15,000 double rifles to Africa. Why? 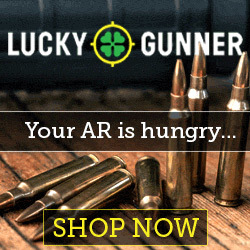 Because they are the best made and will protect his/her expensive rifle from damage and moisture. You never want to arrive for your hunt and find out your gun was damaged in transport. If you have ever watched airport loaders throw luggage onto airplanes, then you know why you need the best gun case for flying. Pelican gun cases are made from a super strong polypropylene body with all stainless steel hardware. The Pelican case is sealed with an O-ring so moisture stays out. There is also a valve that automatically equalizes case pressure. Each Pelican gun case features a 3 piece foam set that will secure your gun inside. This soft foam will not allow your gun to move but at the same time cushion sudden jolts or jars, preventing damage. There are easy opening double throw latches that secure the Pelican case closed. Once it’s closed and locked, it aint opening. Depending on the particular Pelican case, it may feature wheels for easy transporting. I have seen videos of trucks running over a Pelican gun case without damaging the rifle inside. They are the best!